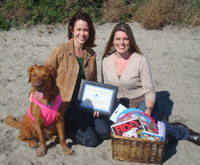 In 2011, Surf Dog Ricochet won an American Humane Association Hero Dog Award in the "Emerging Hero" category. 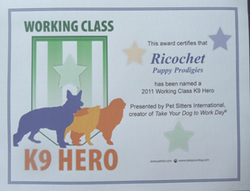 It was the first year they had the Awards, and it was crazy pawesome!! She got to meet a bunch of celebrities, including the other "golden girl", Betty White! The Awards were held at the Beverly Hills Hilton on October 1st. 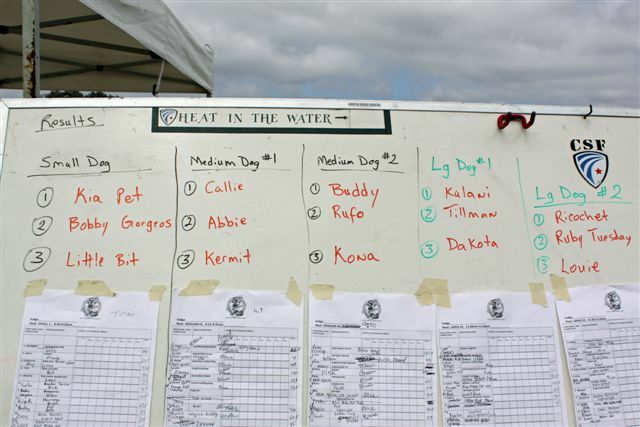 There were eight different categories of dogs that were celebrated. 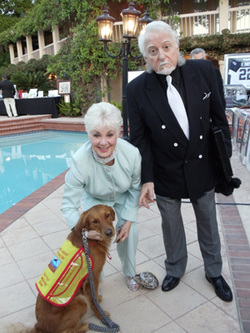 Each recipient received a $5000 donation to their designated charity, and a Hero Dog Award that was sculpted by Liza Todd, the daughter of Elizabeth Taylor. 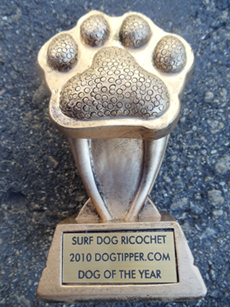 Surf Dog Ricochet's award was presented by actor, Joey Lawrence. 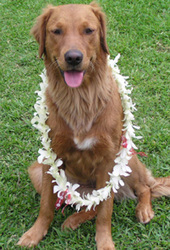 Surf Dog Ricochet has won several awards through her surfing and fundraising activities. 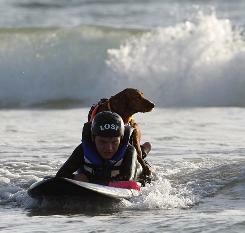 When she's entered surf dog contests, she usually ended up placing in the top three spots. When she fundraises, she often ends up as the top fundraiser! 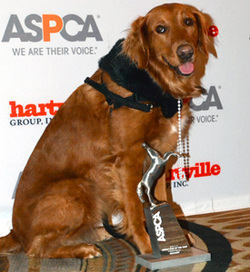 And, she's been honored with some pawmazing awards like a Hero Dog Award from the American Humane Association, and Dog of the Year from the ASPCA. These are the awards she's won... newest at the top! 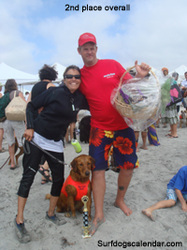 2010 Dogswell Wag Award "Most Charitable Story"
2010 Helen Woodward Surf Dog A Thon, 1st place "Top Fundraiser". 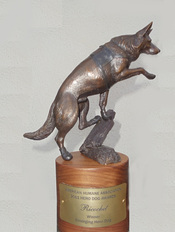 2012 PAWS Companion for Life Award! 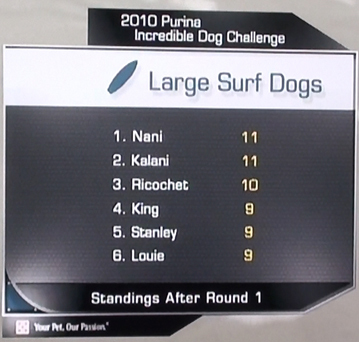 2015 Created plush "Surf Dog Ricochet" dog. 2012 Purina Incredible Dog Challenge Surf Dog Competition at Dog Beach in San Diego"
PAWS Companion for Life Award! 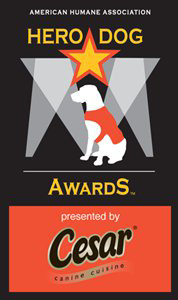 Nominated and won in three categories for the American Dog Magazine's Humanitarian Awards. The AKC appreciates the innumerable ways in which dogs meaningfully contribute to our lives. To qualify, the dog should have performed some exemplary act, whether large or seemingly small, that has significantly benefited a community or individual. One award will be given every year in each of the following five categories: Law Enforcement, Search and Rescue, Therapy, Service, and Exemplary Companion Dog. 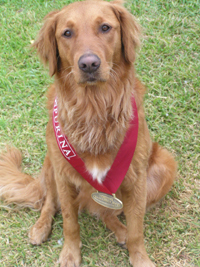 Each of the five honorees will receive a cash award of $1000 and an engraved sterling-silver collar medallion to be presented at the AKC/Eukanuba National Championship in December 2010. 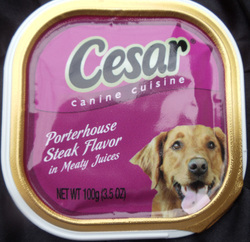 Their names will be engraved on a plaque that hangs permanently in The American Kennel Club Library in New York City. The presentation will be televised on December 4th during the Championships... I've got my DVR set! 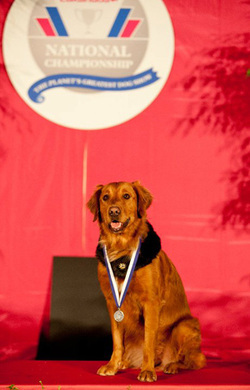 A local presentation will also be held for each recipient at an AKC dog show near their hometown. 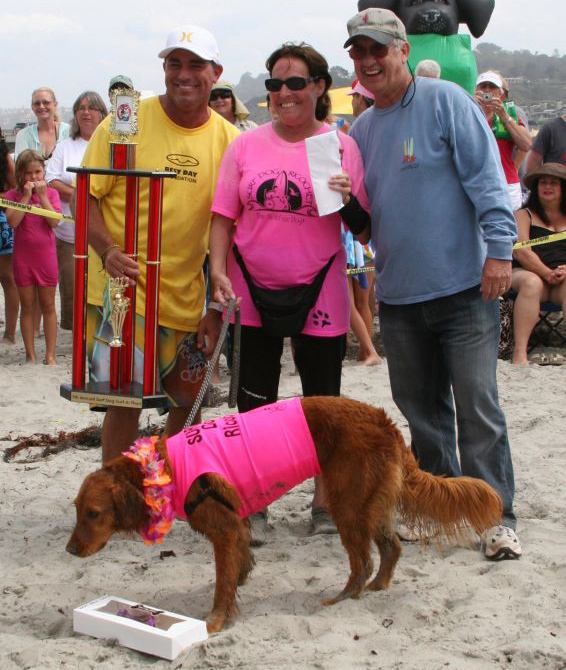 Right now, we're hoping to schedule it on October 16th at the Cabrillo Kennel Club show at the Del Mar Fairgrounds. Pencil it in on your calendar, because I get to invite my friends!! "Leash Your Fitness With Kima" team. Dogswell Wag Award, "Most charitable story". One of the prizes was a year's supply of Dogswell dog food, which I donated to the Helen Woodward Animal Center's AniMeals program. 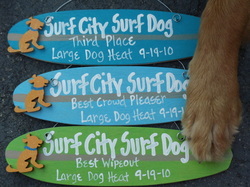 Surf City Surf Dog. 1st place in the large dog category. 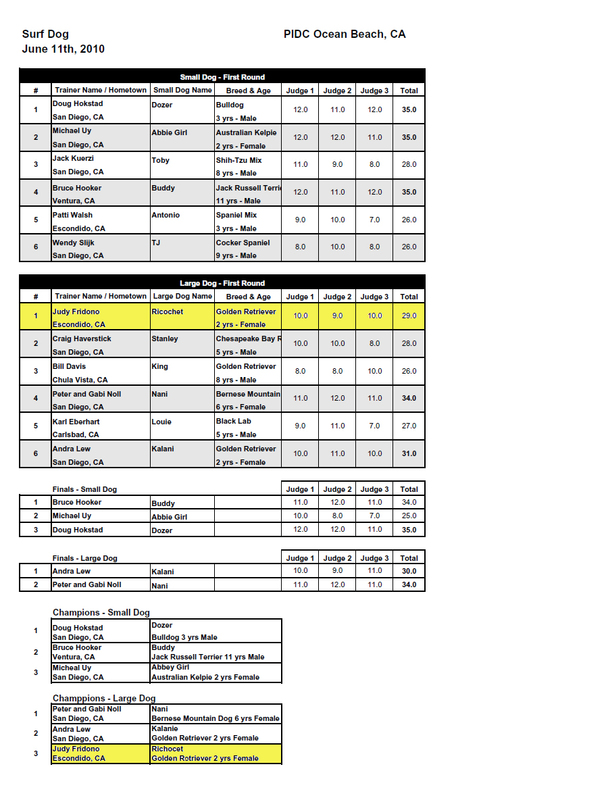 Highest score of all dogs in all categories in preliminary heats!! 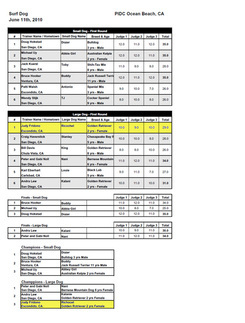 2nd place large dog category in finals. Helen Woodward Surf Dog Surf-a-thon. Del Mar Dog Beach. 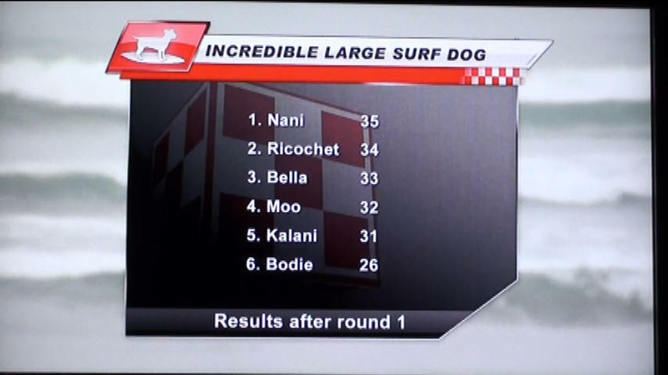 1st place in the second heat, large dog category. 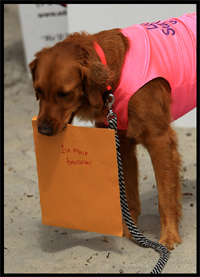 Helen Woodward Surf Dog Surf-a-thon. Del Mar Dog Beach. 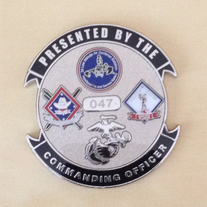 2nd place overall. Surfin Paws Dog Jam. Huntington Beach. Was in the semi-finals, and finals. 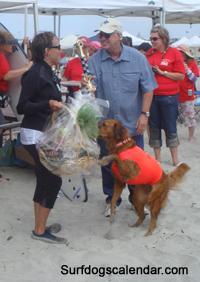 The San Diego Dog Surfing Association presented me with an award for "best new talent". The prize was a really cool drinking fountain that connects to the hose. 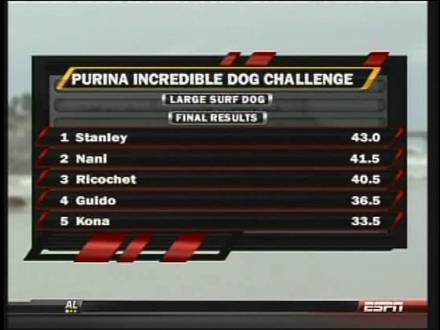 Purina Incredible Dog Challenge Surf Competition. Ocean Beach. 3rd place winner, large dog category. The prize was a real flower lei (pictured to the left).